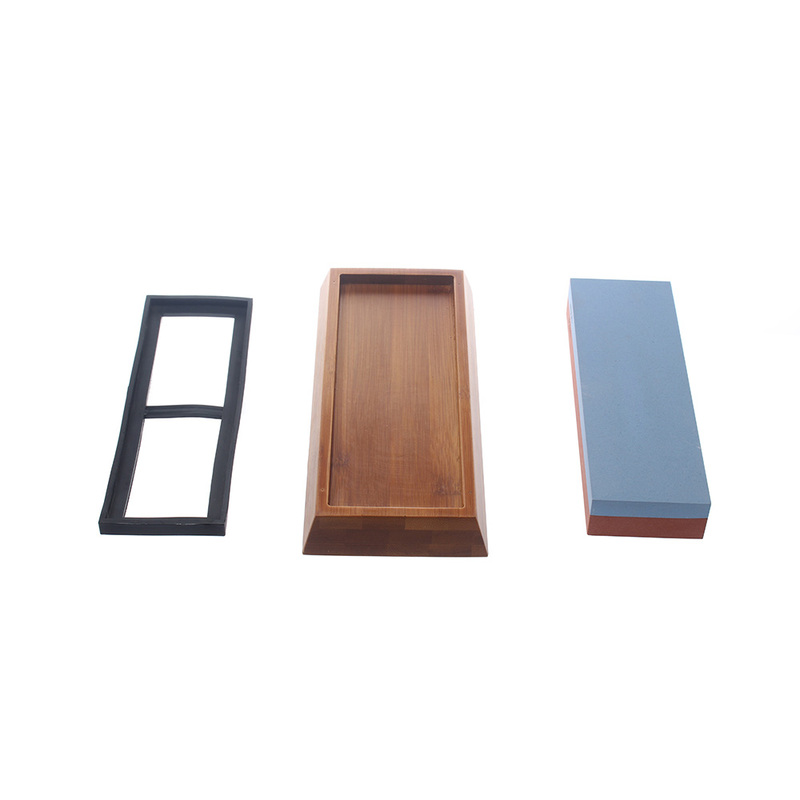 ***Choose the correct grit for your use! 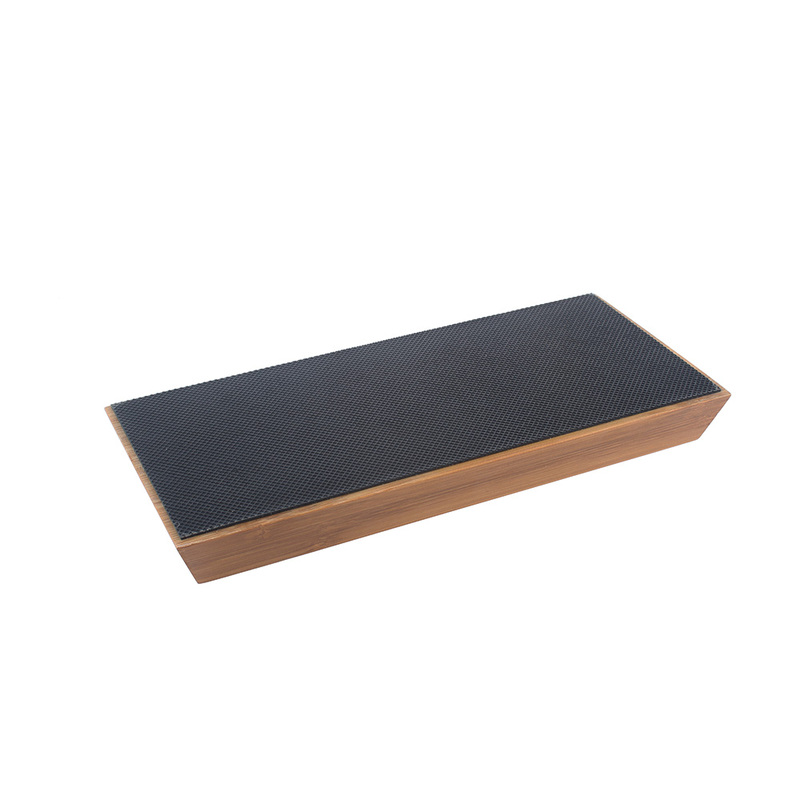 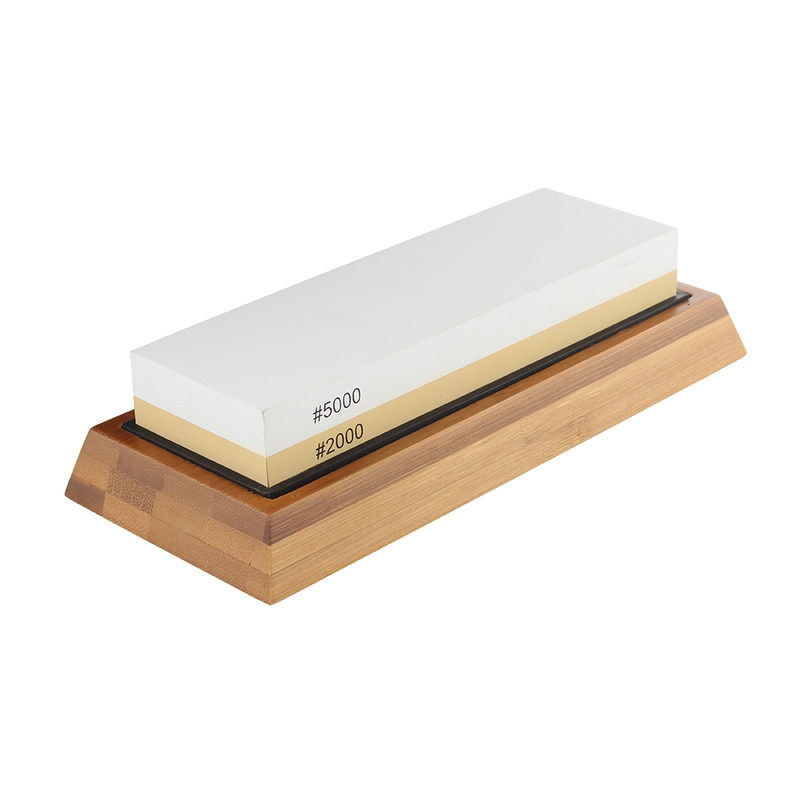 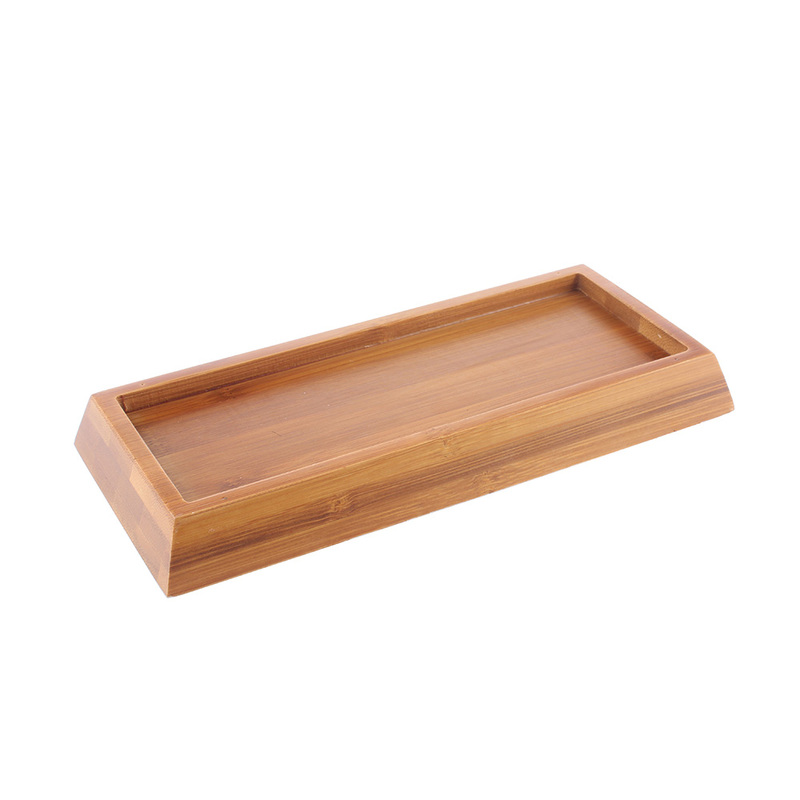 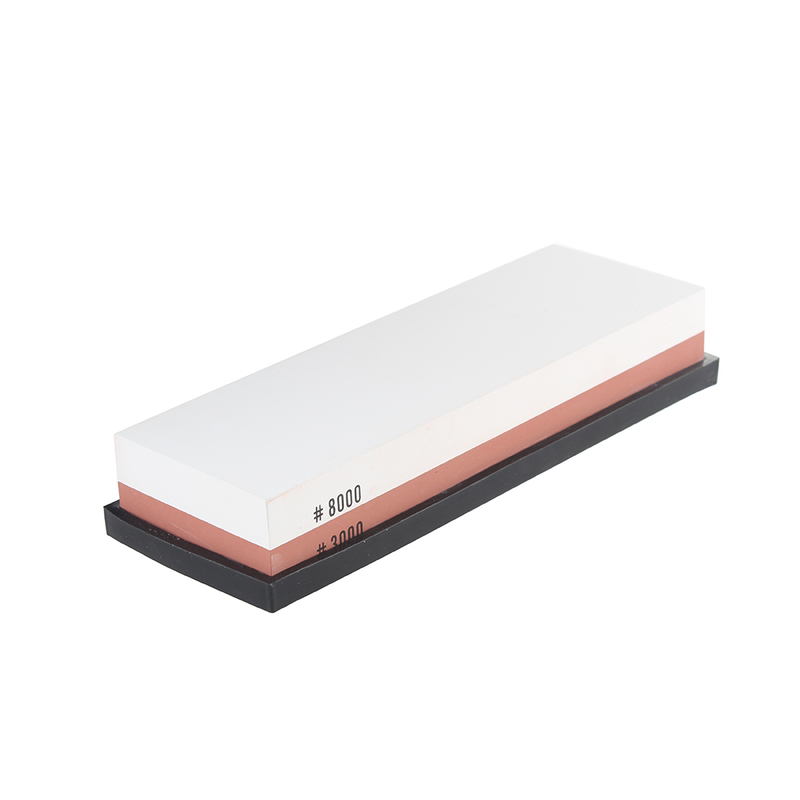 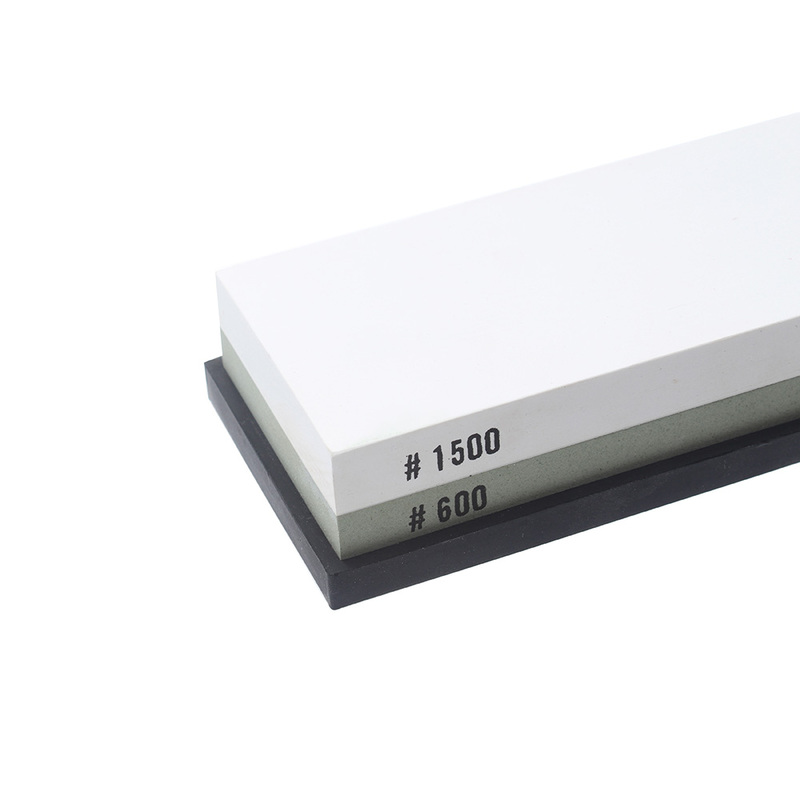 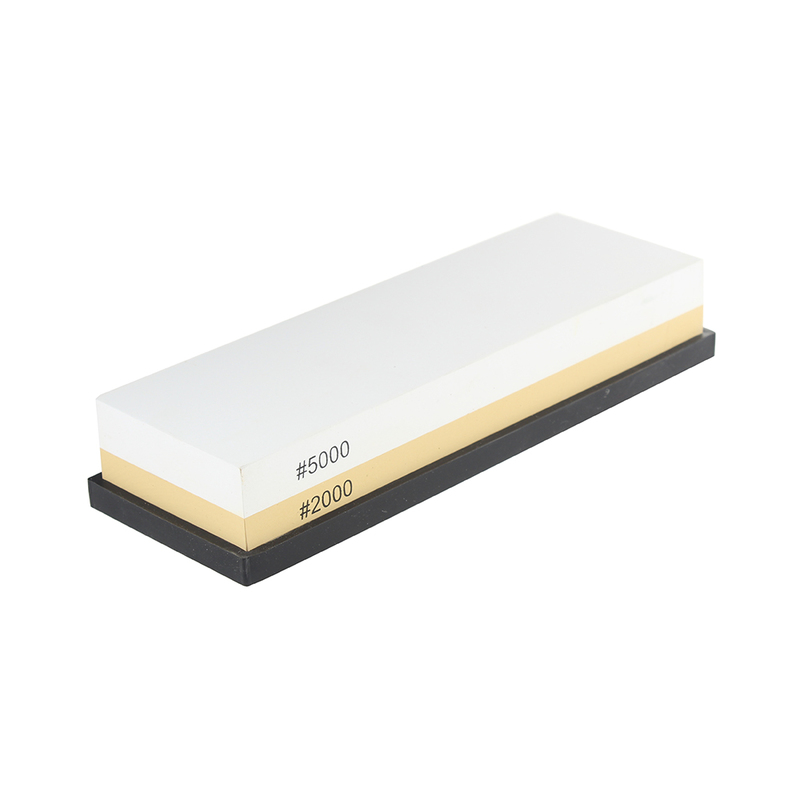 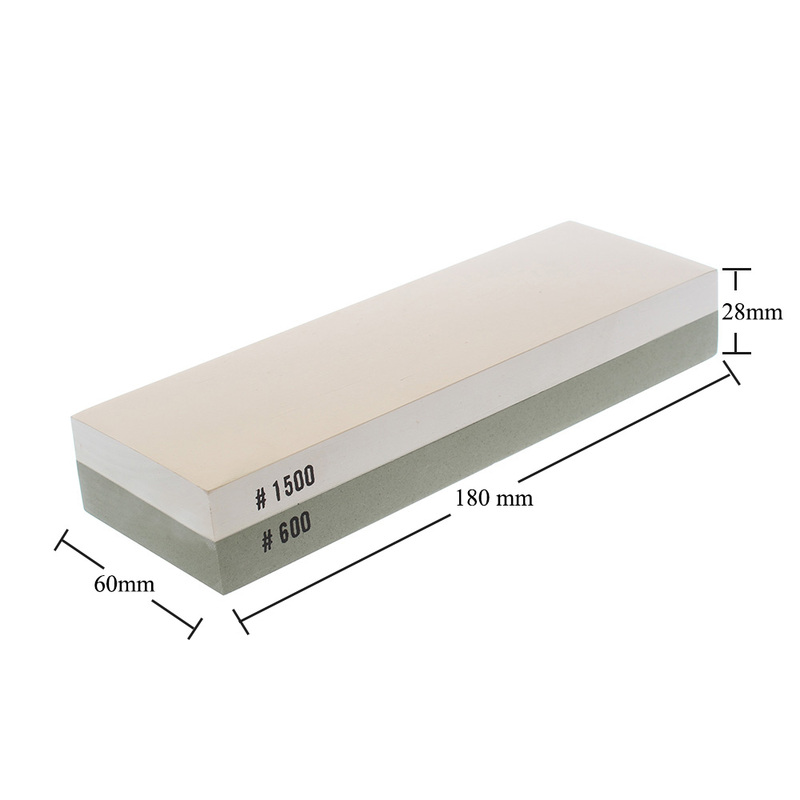 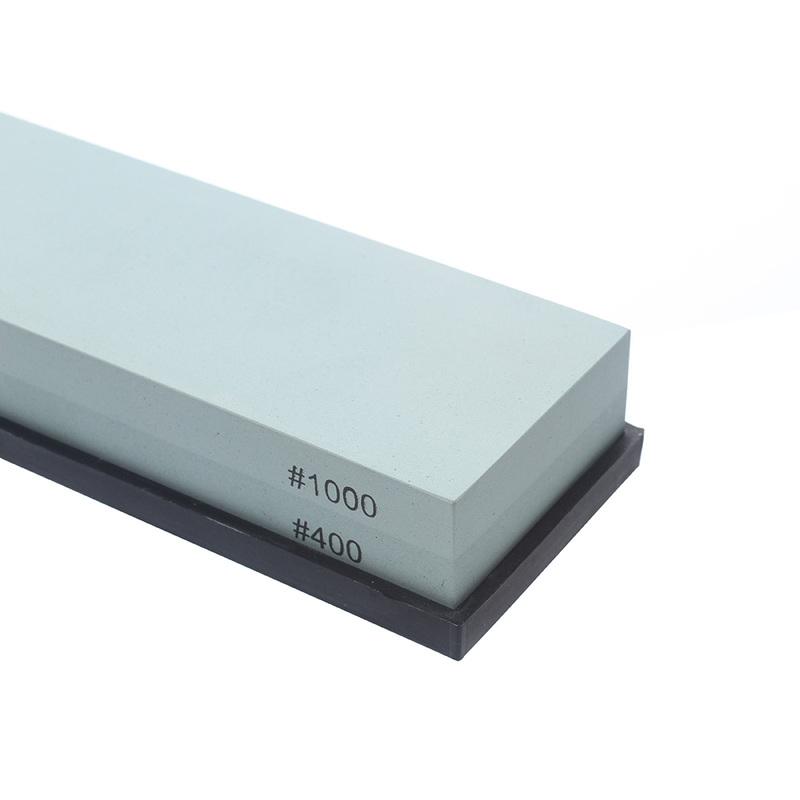 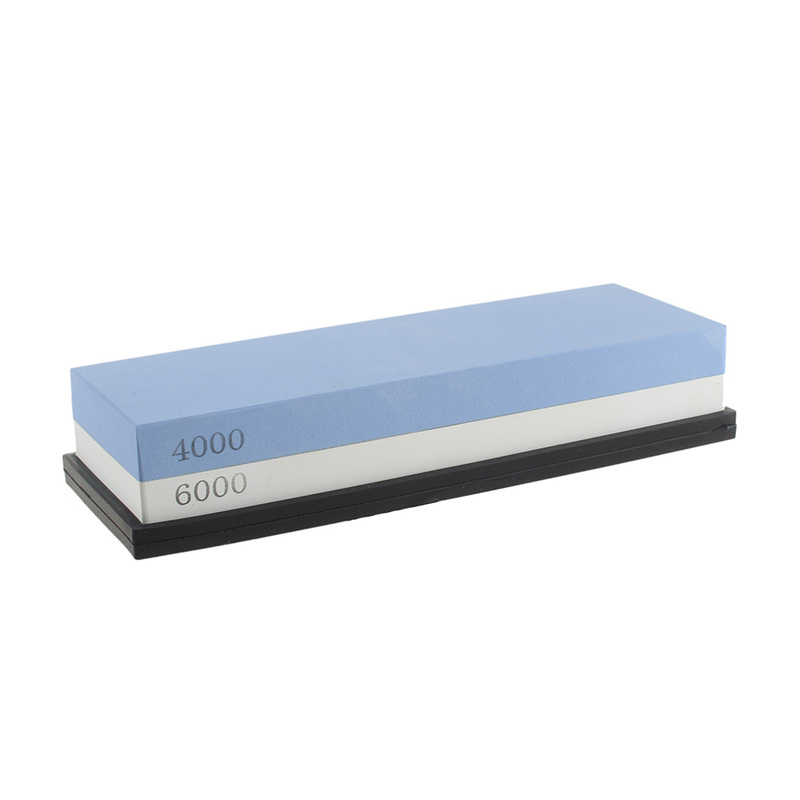 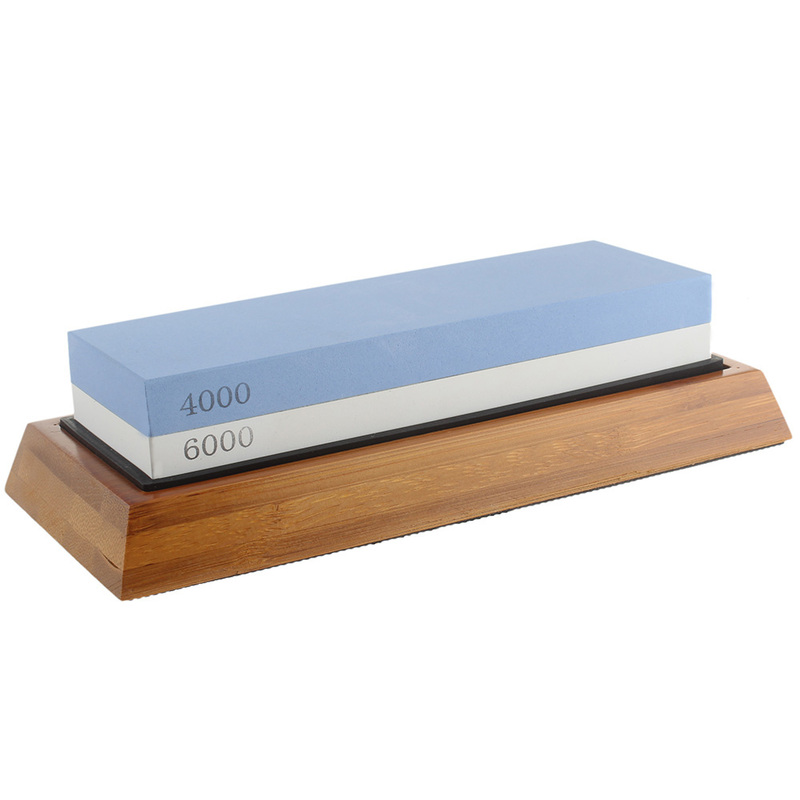 1.High-grade whetstone water stone for ensure effective sharpening results. 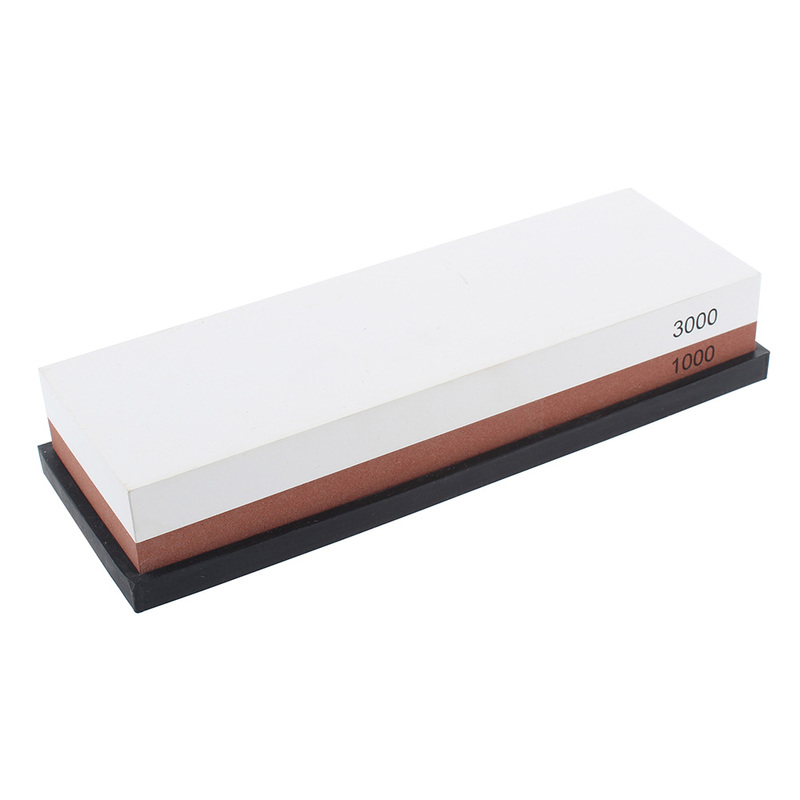 3.Equipped with silica gel non-slip base guarantee the safety sharpening. 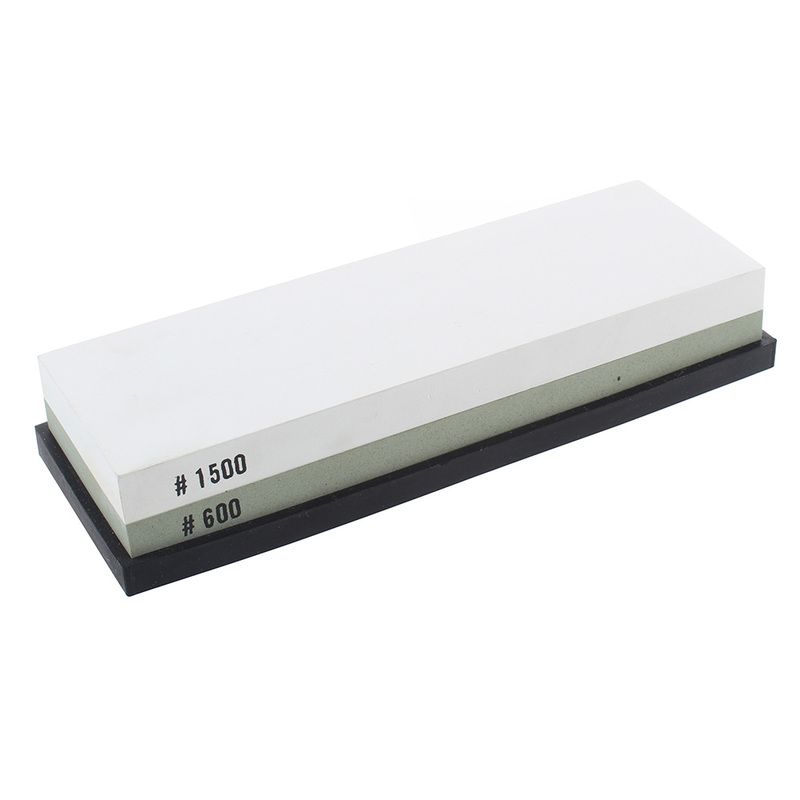 4.Widely used for Knives,scissors,hand tools,woodworking tools,carving tools, etc. 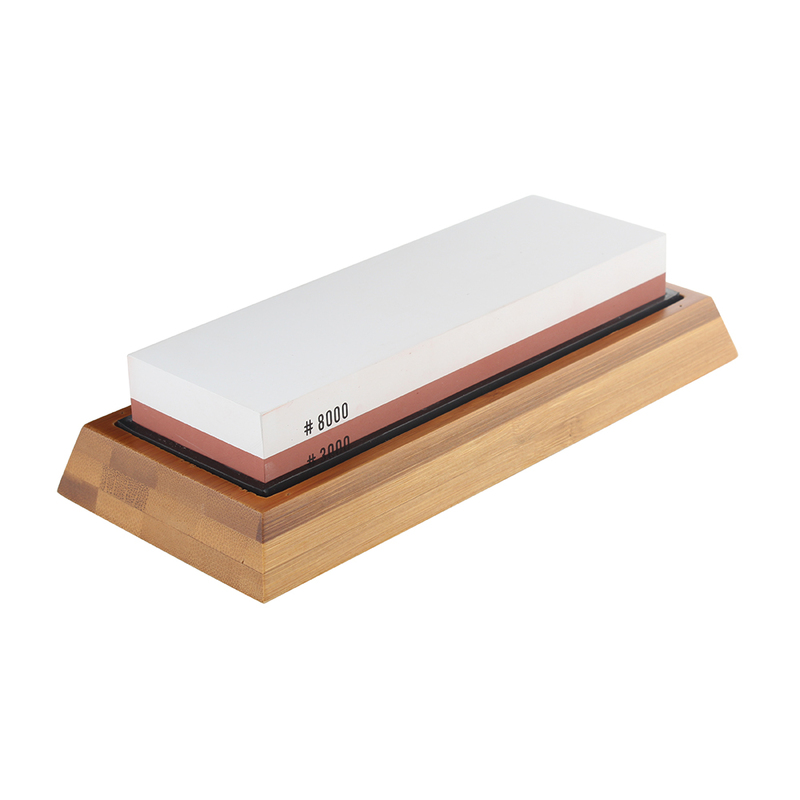 1.Soak the stone in the water for 5-15 minutes, and then put it on a steady platform. 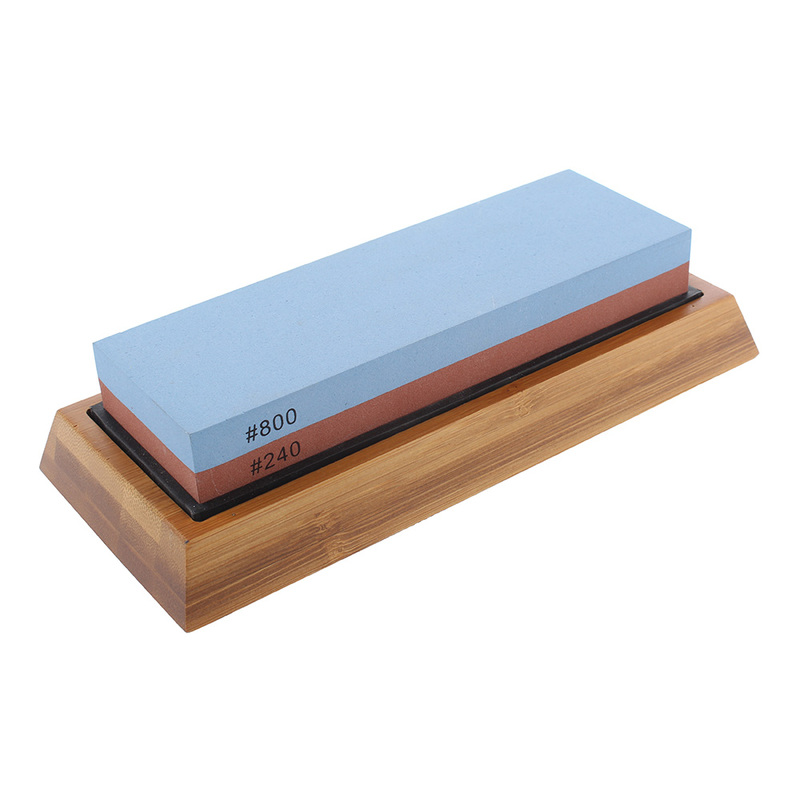 Sharpening the knives with one or two steps is decided by the degree of blunt tool. 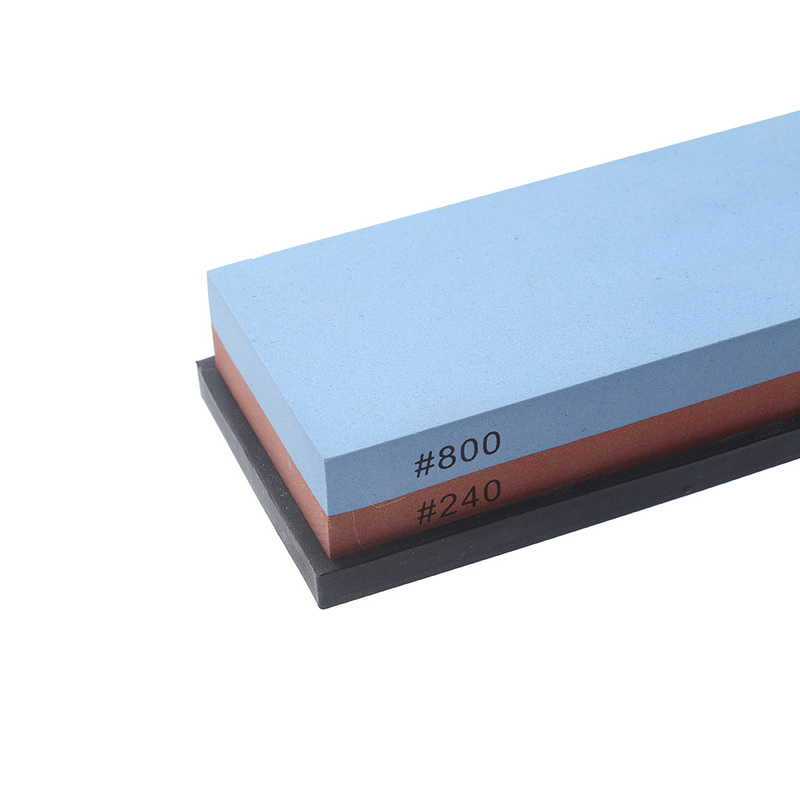 Step 1: Coarse grinding, used to repair the seriously dam aged edge,suitable for blunt knives. Hold the knife at an angle of 10 - 30 °, grind the edge on the surface of stone back and forth with gentle pressure,and sharpen it until the edge sharp enough. 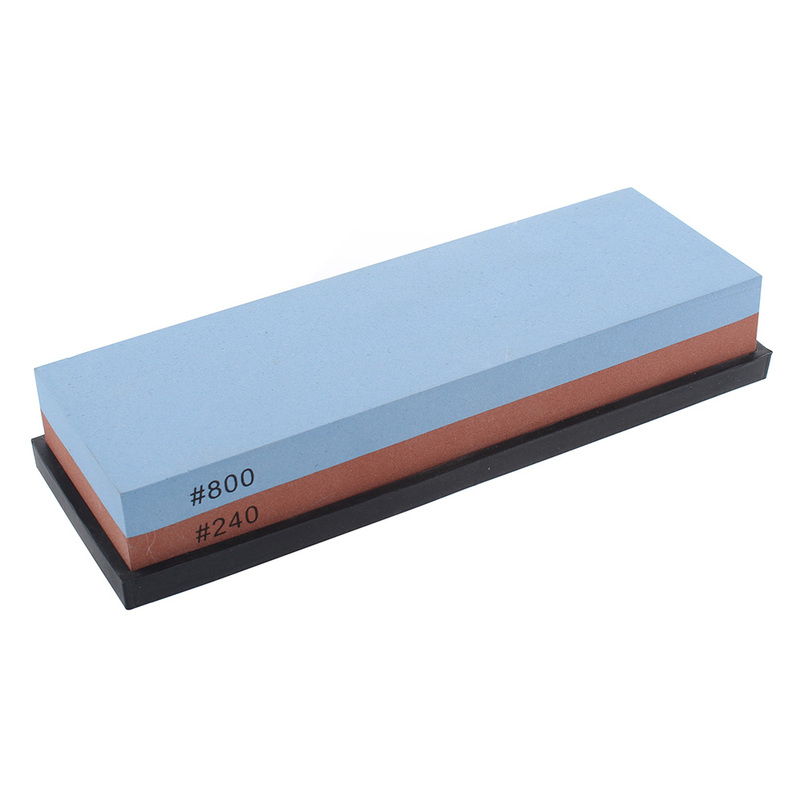 After sharpening the tool, it needs to be honed with coarse grinding after half a year. 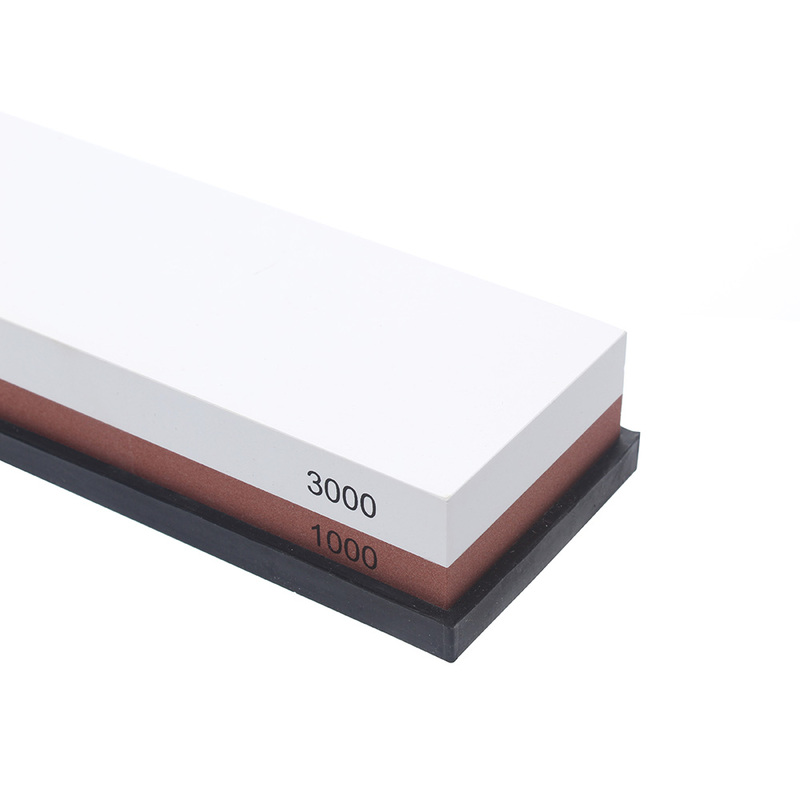 Also depends on the specific situation. 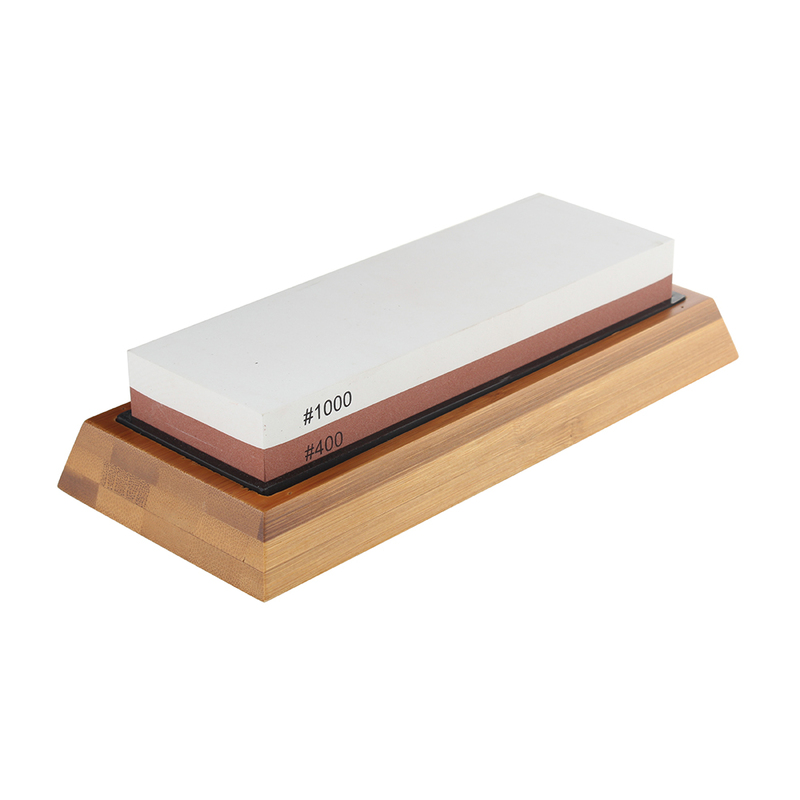 Step 2: Fine grinding, a necessary step to eliminate burrs of the edge.Use more gentle pressure,repeat step 1, and repair the edge until smoothly and keenly. 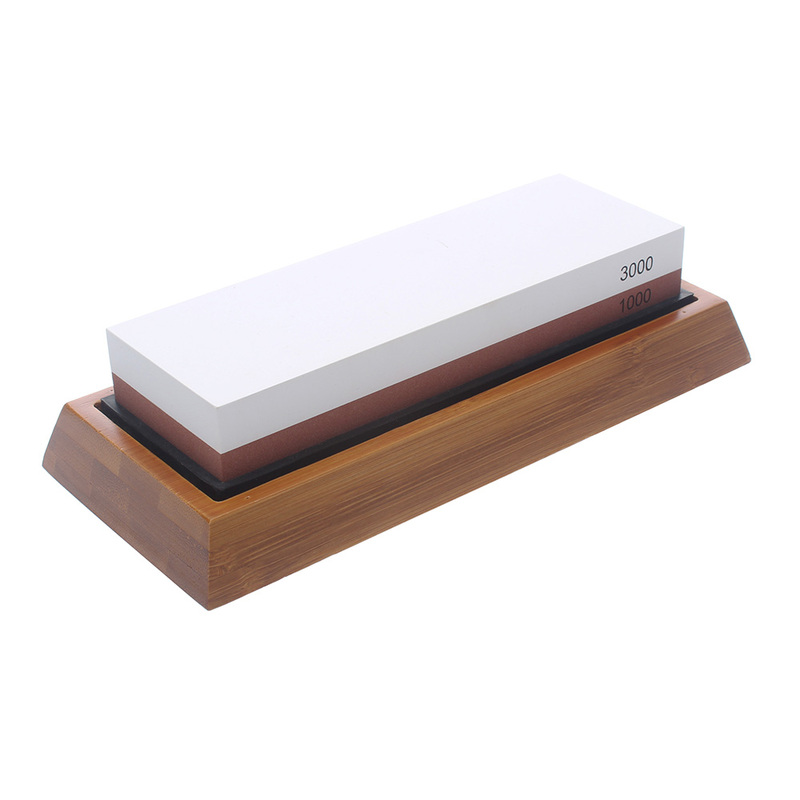 General speaking, use it once a week to keep your blade sharp.